i. Emotions drive everything we do, so absence of emotion results in inaction. ii. The right emotion will produce the desired action – happiness for commercial ends; fear, anger, disgust for social ends. iii. 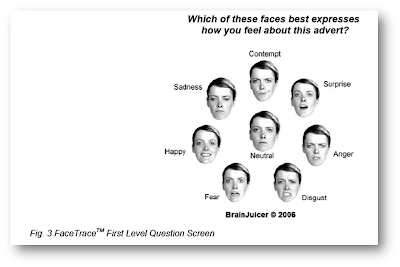 Advert understanding and the propensity for attitude change is determined by the emotional trigger (reflective or autonomic) and cognitive post-processing of the emotion. Comentario: Este paper ganó el premio a "Best Methodological Paper" en el Congreso Anual de Esomar en Berlin (2007).